Being Raleigh’s leading injury physician, Osborne Chiropractic Clinic sees hundreds of patients a week, and although they give excellent health care service, there is a small element of waiting at every visit. As many people do, Dr. Bryan Osborne initally purchased a system that was a “Do-it-yourself” solution with no addiotional support. They really needed a chiropractic solution that was not only entertaining & informative to his patients but was update-able and reliable. 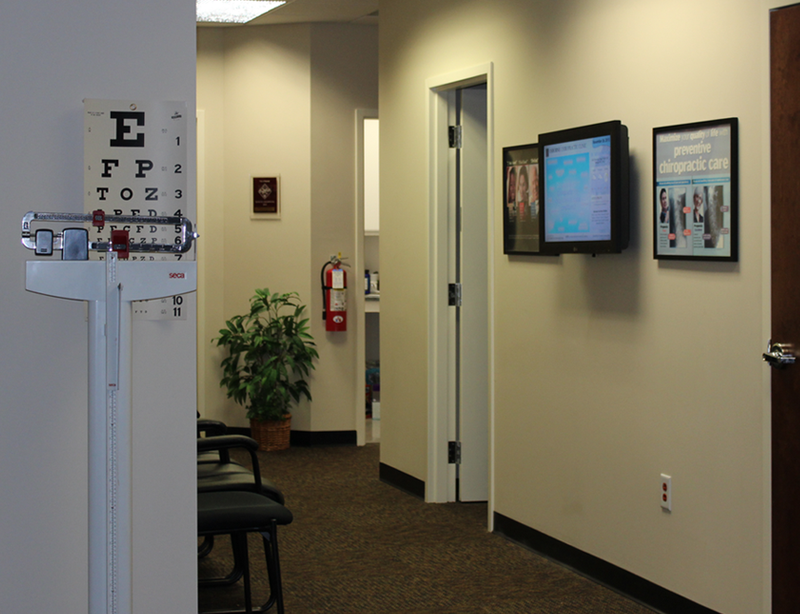 As custom solution providers, we were able to find the clinic a sensible solution to fit their needs and ideal location. We were able to produce a custom content loop with digital signage zones of news, updates, and weather, to provide an array of information for patients to choose from. We provided a LG Commercial-Grade monitor to showcase the design and wall mounted the display in the patient waiting area. We were able to provided additional resources including employee head shots and office photography. 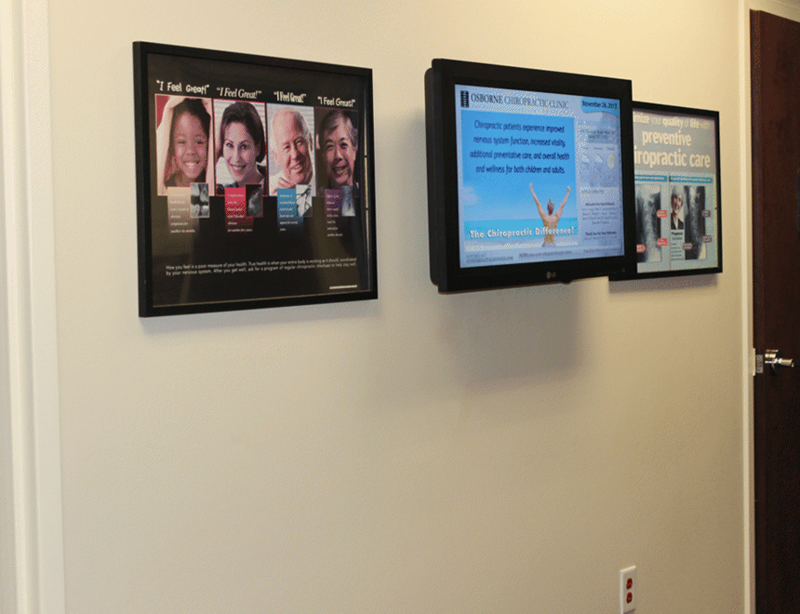 It was a pleasure to work with Dr. Bryan Osborne and the entire Osborne Chiropractic team in the process of implementing their chiropractic digital signage. 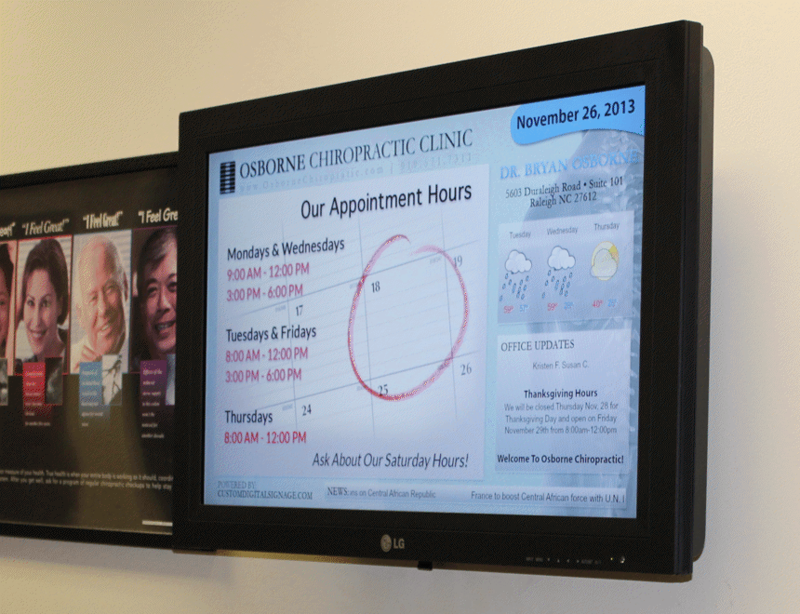 We were able to help them implement a digital signage system that was simple, informative and specific to their patients needs. We continue our relationship through content and on-site maintenance services. 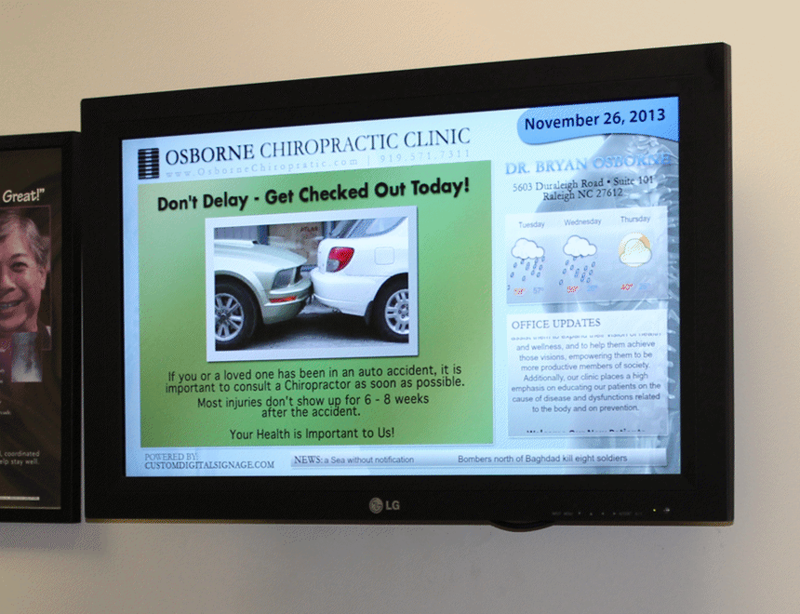 Custom Digital Signage provides a complete custom digital signage solution for any size business. From digital menu board, welcome signs, to custom advertising and kiosk displays, we provide a comprehensive end-to-end solution for your digital presentation.